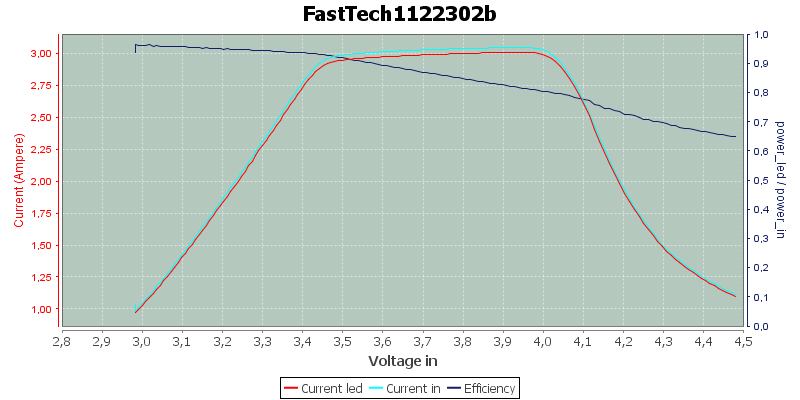 I bought a couple of cheap drivers from FastTech to play with, running them on my testbench got the following results. This is not meant to be a review, bust just a check on how some drivers work. The drivers are a buck, a boost and a linear driver. 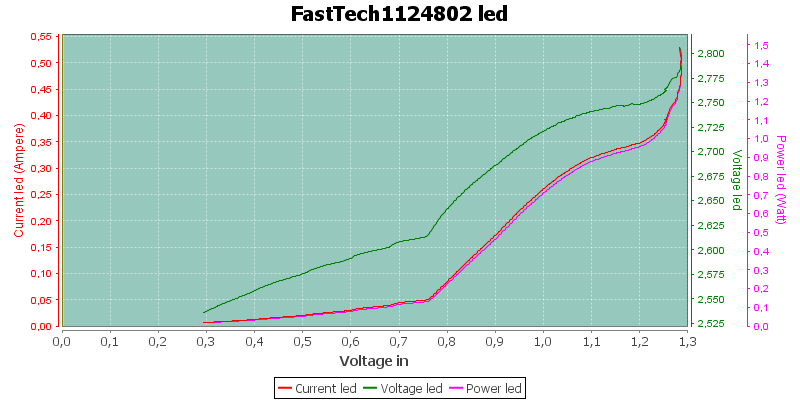 All my tests where done with a XML led, using another type of led with higher Vf would probably have changed some of the result. The driver is a single mode driver. 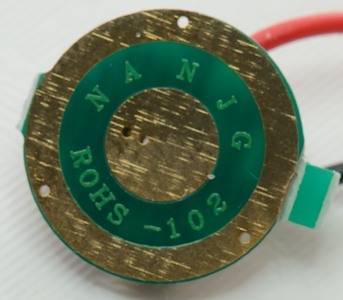 Diameter of this driver is 17.5mm. The driver has a efficiency of 80%. The driver is buck only (i.e. 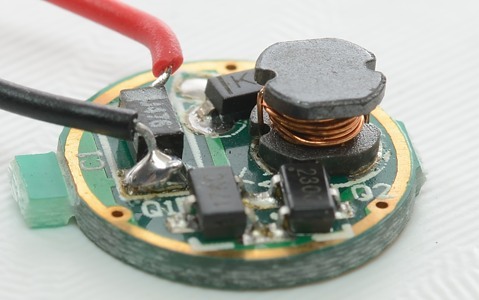 will only reduce voltage), this means that the led will not reach full brightness before the voltage is above Vf of the led, with the used led it happens at around 3.7 volt input voltage (The led only needs 2.9 volt, the rest is lost in the circuit). The driver is a single mode driver, but does also exist in a 5 mode version. 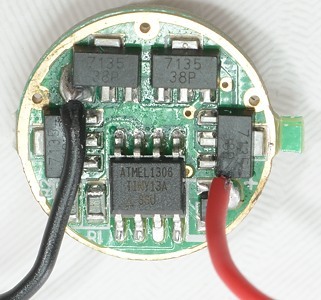 Diameter of this driver is 12.2 mm. 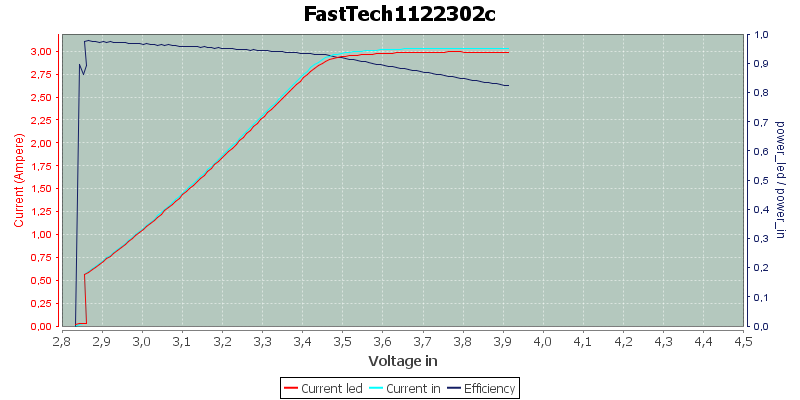 I started my first test from a low voltage and slowly increased the voltage, the driver started working at about 0.9 volt. 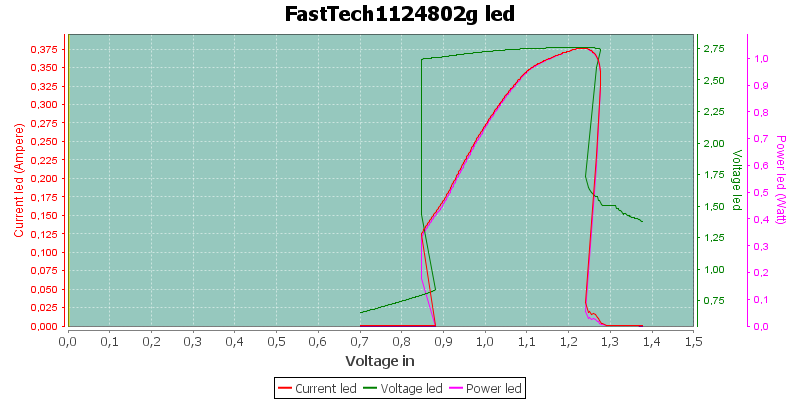 At about 1.25 volt the driver increased the current consumption drastically and then the led dropped out. 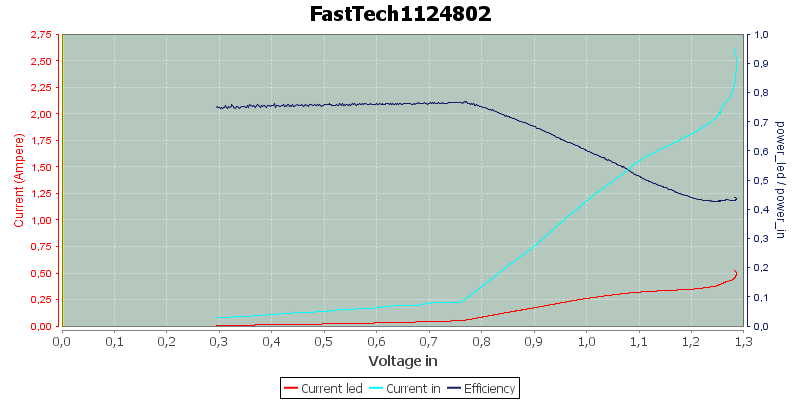 The efficiency is not very good for this type of driver, due to the low voltage and high current. 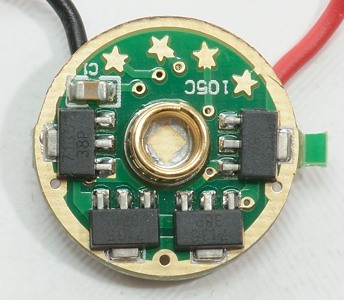 The led gets up to 375mA. 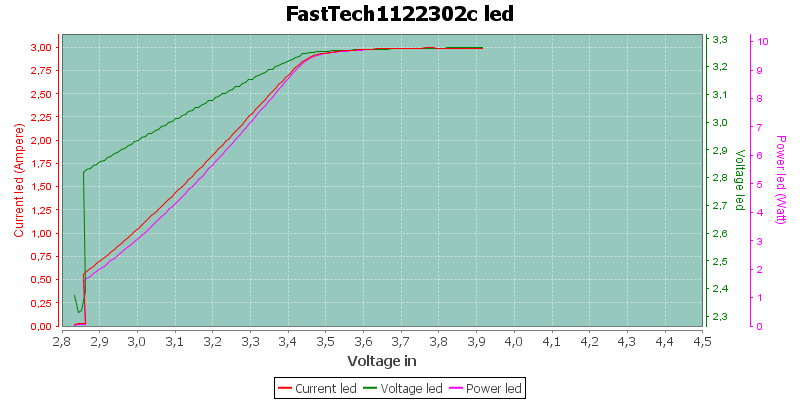 Starting at the highest voltage, where the driver works and then reducing the voltage, shows that it works down to about 0.3 volt, before the led goes completly out. 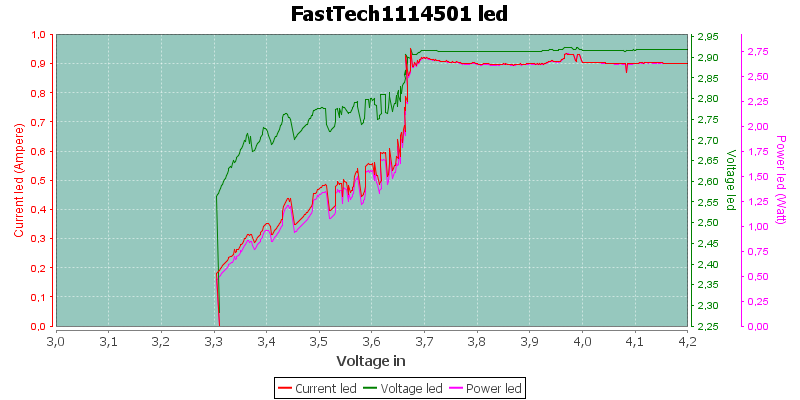 This time I did get higher led current (At least for a very short time), probably because the drive was cold when it was at the high voltage. It looks like this drive will work fine on alkaline, but will have trouble with lithium, NiMH may or may not work, depending on circuit resistance and age. This driver is a linear driver based on the 7135 chip or rather 8 of them and a processor to control them. 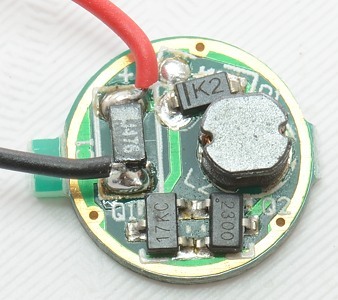 Diameter of this driver is 17 mm. 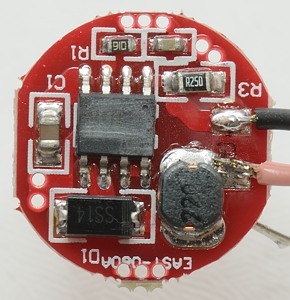 The number of modes in this driver is configurable, from two to five, it does also have a low voltage warning and cutout. The modes are Lo (5%), Mid (30%), Hi (100%), Strobe, SOS according to the documentation, I have not checked it, my test is only of high mode. 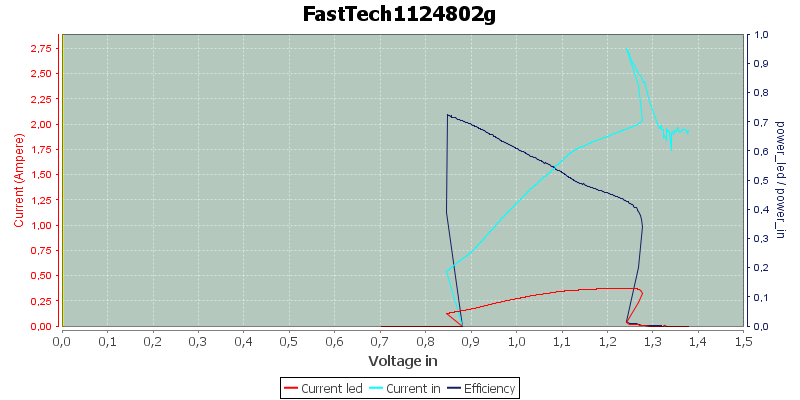 Being a linear driver, it need a voltage above the led Vf, before it will work and the efficiency will depend on how much the voltage is above Vf. 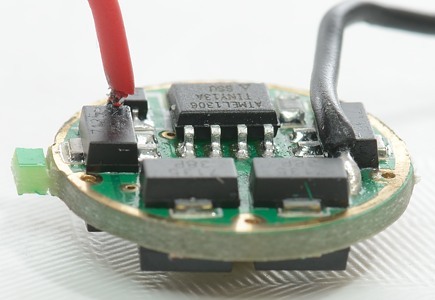 The driver will reduce the current when it gets to hot (8 linear drivers on a small PCB do get hot very easily), as can be seen at 4 volt and above. I had to start this curve at 3 volt, to avoid the low voltage warning mode. This time I started from 4 volt and reduced the voltage, the low voltage warning activates at about 2.85 volt and turns off soon after. 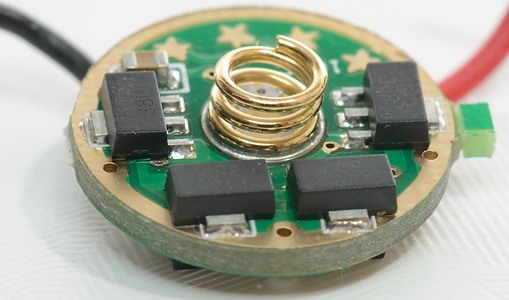 With a battery this there will be a long time before it turns off, when the led current is reduced the battery voltage will increase. The DUT is the device under test, i.e. the led driver. 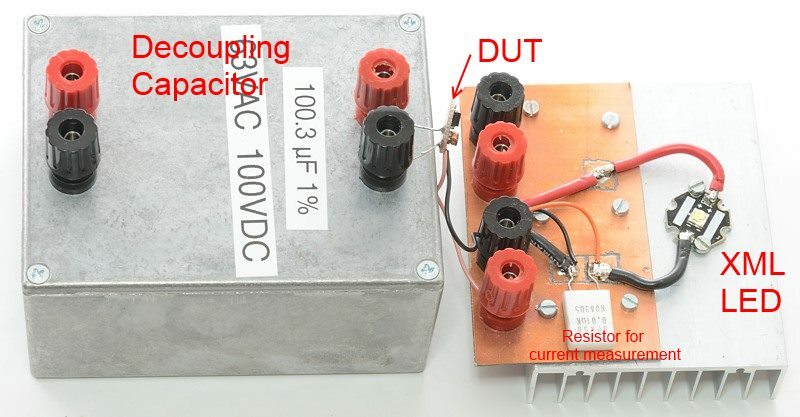 I have tried to make the test setup with very short wires and low resistance. As input to the capacitor I uses a computer controlled power supply, but the voltage I am using when drawing the curves are measured at the driver with a DMM. 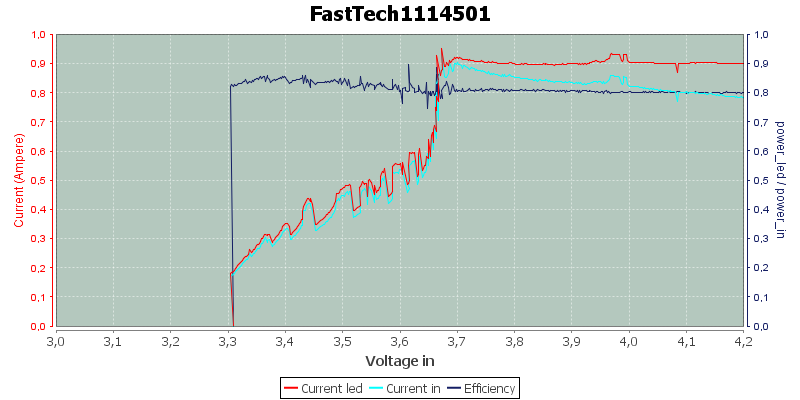 Total I am using 3 DMM's, the power supply measures the input current. 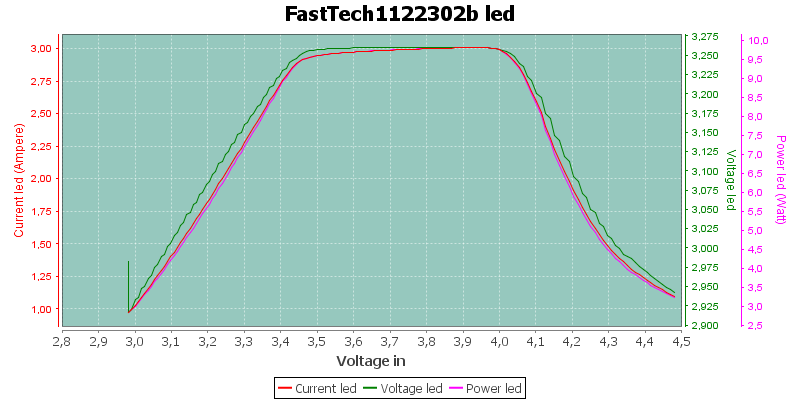 I did not see any reason to measure brightess of the led, the led current is just as good for these measurements.